Traditional book version with a teacher’s answer key, student books, and Ear Training? 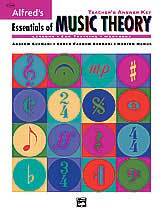 Go with Essentials of Music Theory. Independent self-study? 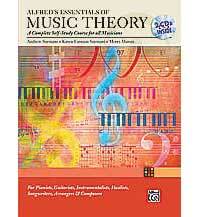 Choose the Essentials of Music Theory Complete Self Study Course. Why Take Music Theory in High School? For college-bound music majors, it is better to take it during high school. Music majors are typically required to take music theory as part of the degree requirement. If you haven’t taken music theory and can’t pass the pre-test, you may be required to take a basic/remedial course. These add to college expenses and may not count for credit. Not having studied music theory could put you a semester behind because it is a prerequisite for other music courses. The Essentials of Music Theory Complete Self Study Course is for the older student who is capable of independent study. Our son completed this course on his own and used the ear training CDs. His love of music was a real motivation for doing the music theory independently. It is divided into three sections called books. Each “book” has twenty-five lessons for a total of seventy-five lessons in all. The answers are located at the back of the book and presented as reduced size pages with filled-in answers. 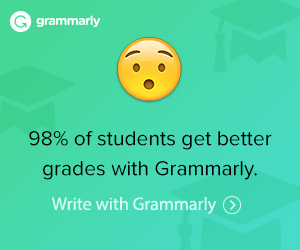 The student can check answers on his own. 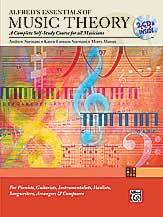 The Essentials of Music Theory Complete Self Study Course works best if you have only one student who will use this course as the book is consumable. View a sample and listen to ear training samples at the publisher’s website. This one Teacher’s Answer Key for Books 1-3 with the Ear Training CDs 1 and 2. These have answers and ear training for all three books. The Teacher AK has the student pages printed in full size with answers in a different font. The ear training CDs will need to be shared. 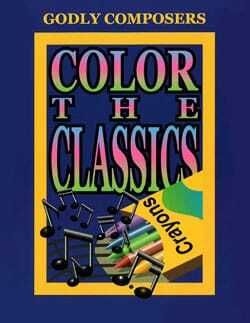 Book 1 has lessons on the music basics such as the staff, notes, treble clef, staff, ledger lines, various time signatures, rests, dynamic signs, flats, sharps, naturals, etc. Lessons in Book 2 include tetrachords, major scales, flat scales, sharp scales, key signatures, chromatic scale, intervals, circle of fifths, more time signatures, triads, etc. 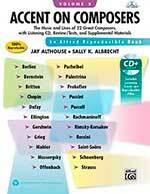 In Essentials of Theory Book 3, topics include triads, minor scales, chord progressions, modes, harmonizing, broken chords, composing a melody, blues scale, motive, phrase, etc. Purchase one set of Essentials of Music Theory Student Books 1-3 for each student. One student book 1-3 comes with the bundle.